Long before there was a music video (MV) industry, video awards, countless MV countdown shows, and before MVs became a revenue source for labels and artists, Nigerian artists did not know how to use their MVs to promote their songs, neither did they have a platform to air them. 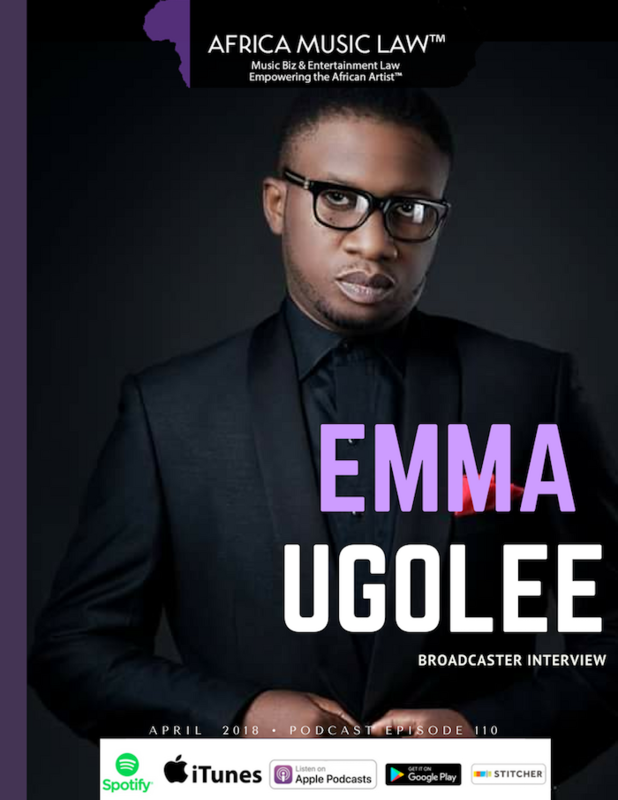 One man, however, Emmanuel (Emma) Ugolee, a broadcast industry veteran, had a vision. He imagined and believed that these artists could have a strong platform to market and promote their songs through their music videos. With determination and blessings from his television station network owner, he created and launched Nigeria’s first top 10 music video countdown. That singular act revolutionized the industry and created a thriving music video industry. 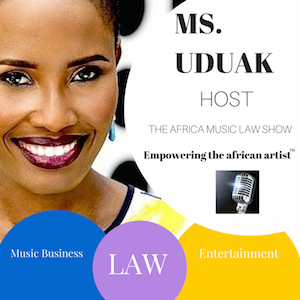 Emma joins Ms. Uduak, host of The Africa Music Law Show, on the 110th episode to share his journey and also give the straight up facts about the challenges in Nigeria’s entertainment (broadcast) industry, with a particular focus on Payola. This is part 1 of 2 of a two-part interview. How he broke into the radio and tv broadcasting industry. Trailblazing with Nigeria’s ‘Top 10 Music Video’ countdown. 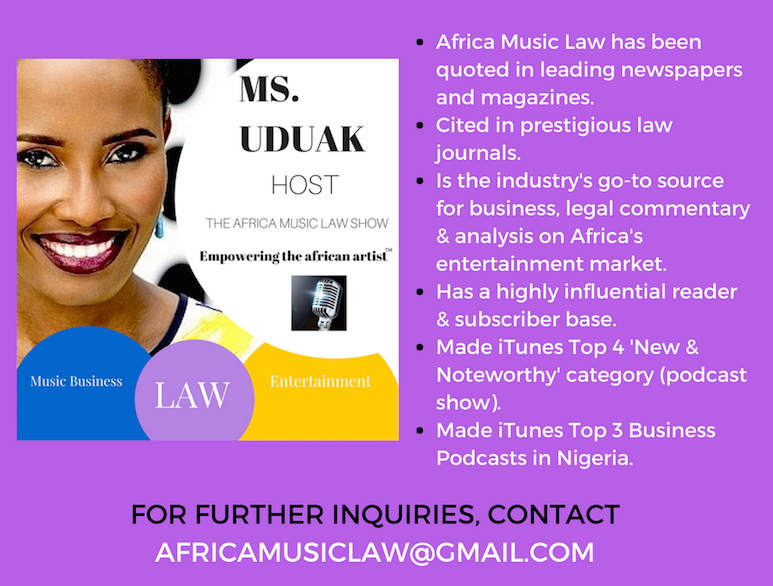 The problem of payola in the Nigerian music industry and the artists, labels, radio station owners etc. who worsened the situation (he drops names). Endemic labor and employment law violations by station owners including unpaid wages to radio hosts/OAPs. Endemic problem of OAPs selling their souls with the practice of payola and the after effects. Solutions for OAPs and station owners. Folklore/traditional music and defining the Nigerian music sound. How the telecommunications industry have replaced record labels and how to fix that issue. 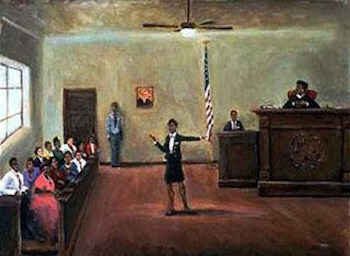 COSON (Nigeria’s collecting society), its leadership crisis, and the impact on artists. Great episode! Thanks for this.